SwissWeek China’s mission consists of offering a free entrance exhibition to a large public in different key cities of China to increase awareness of Switzerland, promote the Swiss culture and traditions and exchange about its expertise in key sectors such as high-tech, education, sciences, and sustainability. Furthermore, the SwissWeek China provides an enhanced platform for Swiss brands to meet their existing and potential Chinese customers, promote their brand and the company’s image and directly sell their Swiss products in outstanding locations belonging to the top shopping streets of China. I truly believe that Swiss brands should use this platform to showcase what Switzerland is capable of, what kind of fantastic brands there are and also give an opportunity to attract a lot of people coming to a spot in the middle of Shanghai over a couple of days to really get the word out that there are a number of brands they are open for business. The SwissWeek in Shanghai is one of those joyful events which should bring people together around an ocean of quality, availability and common interests. sim realized that, besides all professional services, the Companies were in need of a direct access to Chinese Consumers. The SwissWeek was built to grant this access to Swiss Brands and is up to now the most efficient and most solicited Swiss B2C Platform in China. In May/ June 2013 the first SwissWeek in Shanghai took place at YanDang Road under the Patronage of the Consulate General of Switzerland in Shanghai. The 4-day event gave the public a first insight of Switzerland and the products it has to offer. Despite bad weather, more than 70’000 people visited the 22 Swiss booths with a main focus of Swiss consumer goods and services such as F&B, home appliances, as well as technology, education and business promotion. Cultural activities were also included in the program with special entertainment for Children to celebrate the Children’s day on June 1st. Following the successful results of the first edition of the SwissWeek Shanghai in 2013 and all the positive feedbacks, SwissWeek China‘s second edition took place in May 2014. A small “SwissVillage” was built at Huaihai Park and 15 Swiss companies and institutions were present to showcased their Swiss products and brands to about 75’000 visitors. From an entertainment point of view, an Alphorn music group from Switzerland enchanted the audience with traditional Swiss music and a Swiss movie night was organized. Close to 90’000 people visited the Swiss Week 2015 in Shanghai which again was a successful event for 16 brands and the Swiss institutions in Shanghai. 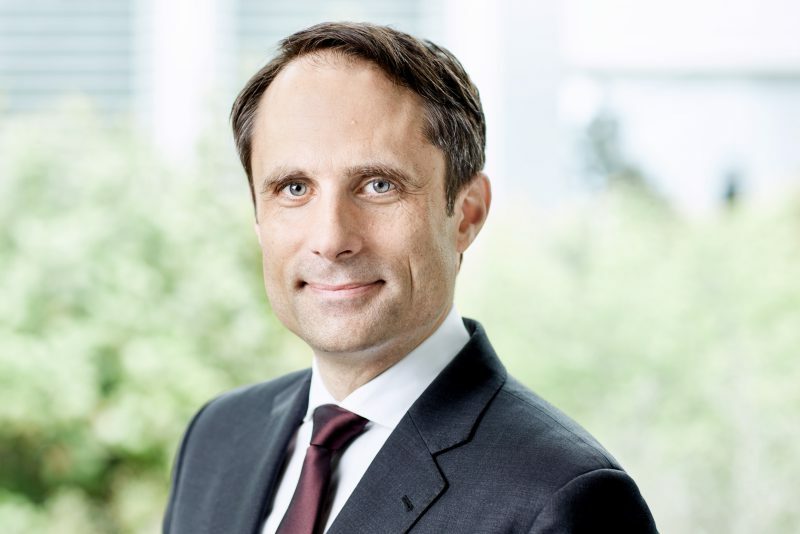 This year was a special occasion, the celebrations of the 65th anniversary of bilateral relations between Switzerland and the People’s Republic of China. The SwissWeek 2015 showed again cultural performances, exhibitions and events such as a talented musician who played the traditional Swiss instrument Hackbrett. Since 2015 many products promoted at the Swiss Week are available online on the Weidian Shop called “SwissMarket”. 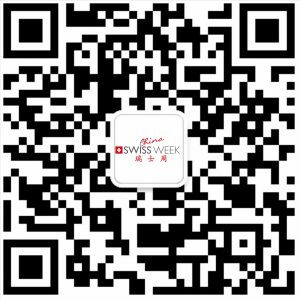 In July 2015 Swissinfo became an official Media Partner of SwissWeek China. The SwissWeek Shanghai 2016 was successfully hosted again in the heart of Shanghai in Huaihai Park. Attended by 25 brands and sponsors, SwissWeek Shanghai welcomed close to 60’000 visitors during the exhibition. The paper cutting artist Mrs. Sonja Zueblin was invited to showcase her paper-cut skills and art pieces to the Chinese public. 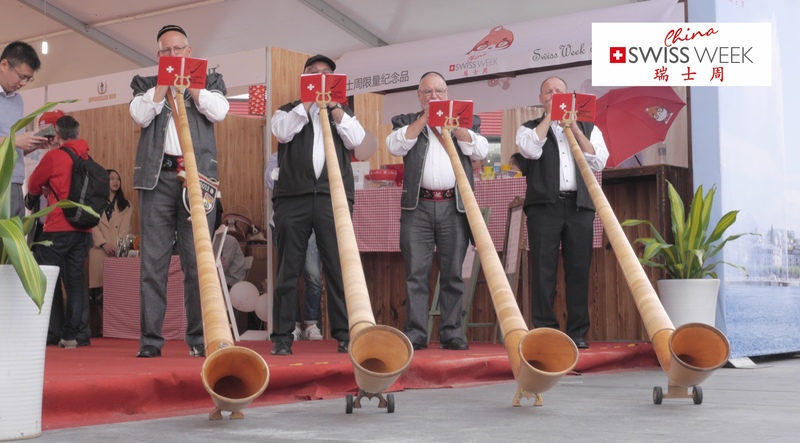 The traditional Swiss instrument Alphorn was played by the Lambercier family, a musician group who flew in for the event and the Swiss movie director Jürg Neuenschwander introduced his new documentary “The Chinese Recipe – bold and smart” to the local people on Movie Night. Without doubt, the SwissWeek did set new standards in 2016 in terms of culture presentation, communication and exchange. The SwissWeek Shanghai 2017 under the motto “Intelligently made in Switzerland” has achieved another tremendous success this year for its 5th anniversary. Attended by 24 brands and sponsors, SwissWeek Shanghai welcomed close to 60’000 visitors during the exhibition. There is an enormous number of views about the event on social media, especially more than 650,000 views on wechat and weibo, and nearly 4,500,000 views on live streaming platforms. The information and news of SwissWeek were published on local newspapers, western and local websites, social platforms, News APP, local and international TV channels and radio. 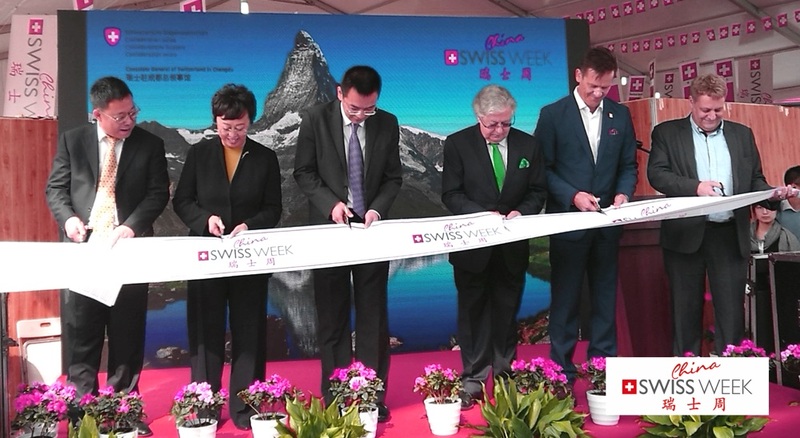 SwissWeek China is the one and only platform in China to showcase Switzerland with its culture, traditions, innovation, education and products all at once. This year, Jonas Gross, one of the most promising young instrumentalists in the Swiss music scene flew in and used the unique sound of his pan flute to create a very new kind of soundscape for the fascination of the audience. 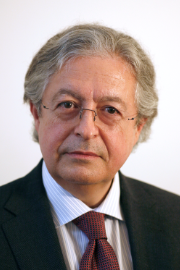 The SwissWeek Shanghai stands under the Patronage of the Consulate General of Switzerland in Shanghai. The SwissWeek Chengdu stands under the Patronage of the Consulate General of Switzerland in Chengdu. The Swiss institutions have supported the initiative of the SwissWeek China to further promote Switzerland’s expertise in Science & Technology, Education, High-tech, use the platform to exchange with key industry leaders and attract Chinese tourists to visit Switzerland.